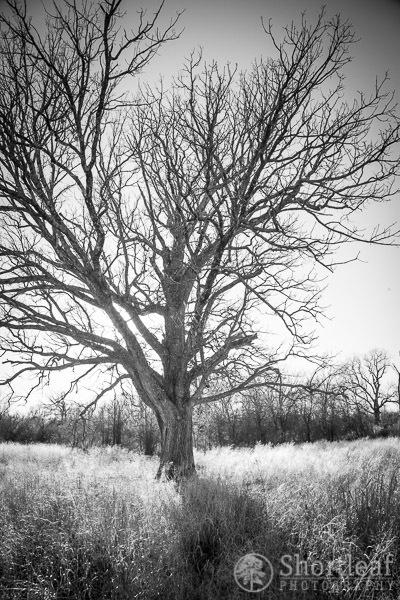 Today is a bittersweet day. I bought a new backpack. Sure, it’s always fun to get new things, but I have developed a bit of attachment to my old backpack. Not because it’s anything special, but because I have had it for so long and taken it so many places! Back in my college days I kept losing pens and other small objects through the worn out bottom of my cheap JanSport pack. So mom made a trip to Springfield and took me to the mall to get a new one. The one I liked was a North Face Recon and while I thought it was absurd to spend $90 on a backpack, mom insisted it would hold up better than the walmart garbage I had been replacing every year up to that point. That was 16 years ago. Really, the pack is still in pretty decent condition and I will still use it for things like atv riding, cave exploring, and kayaking. For long hikes, I’ve already started using a larger “backpacker” style pack that is much bigger but significantly more comfortable to carry because it’s supported at the waist instead of just the shoulders. So in honor of this long lasting pack, I’ve dug out some old photos to remember and enjoy the many things I’ve done with it. Not really an adventure, but back when it was fairly new, around 2002 this backpack was the victim of Ian’s granola vandalism in my bedroom. 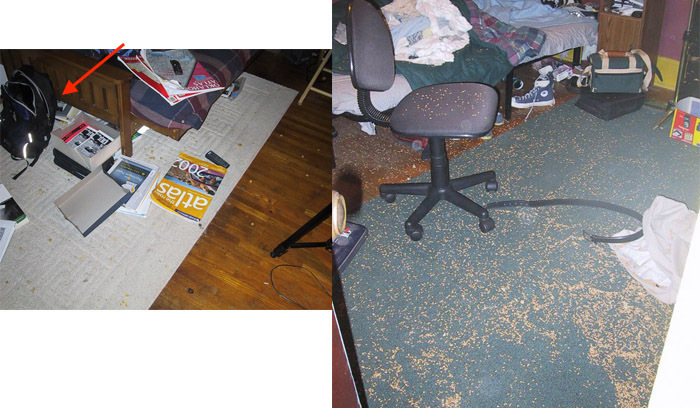 I retaliated by opening a bag of wheat seed and throwing it back into his room. Because what college student doesn’t keep a 10lb bag of wheat seed in their closet ready for just such an occasion? Ian didn’t talk to me for probably at least a week after that. Probably because that’s how long it took him to vacuum it all up. In 2004 I learned to use this backpack as a pillow for my frequent trips to the beach. Here we are taking a break from a bike ride to enjoy a beautiful view. Also 2004. 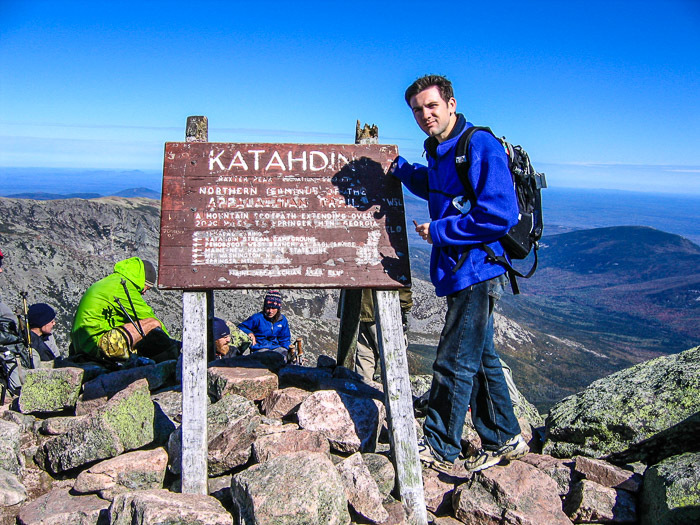 2005: The pack climbed up Katahdin, the beautiful Maine high point and northern end of the Appalachian Trail. I’ve carried the backpack through more airports than I can count, sometimes taking it as my only item. I’m not sure what airports these are here, but I think it’s Athens and Kansas City. The pack also came in handy as a pillow while sleeping under a bench at the Cairo airport. I don’t know the year of this photo but the pack has spend many a summer at the lake. 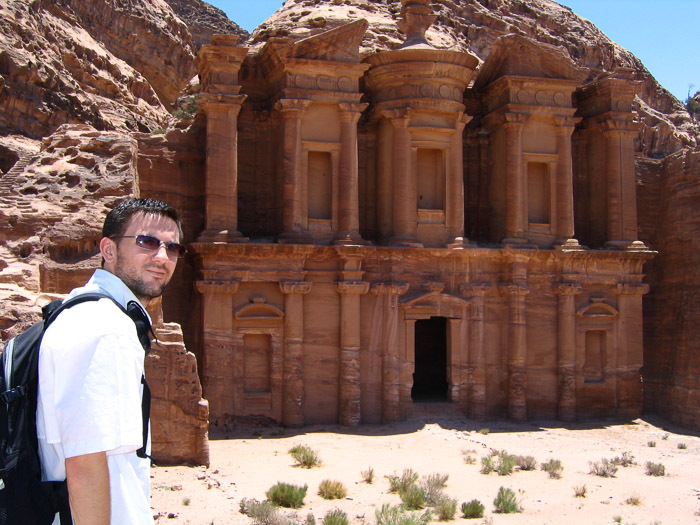 Exploring and suffering the sweltering heat of the middle east in 2006. The pack was nearly stolen from me on this trip but I refused to give it up! 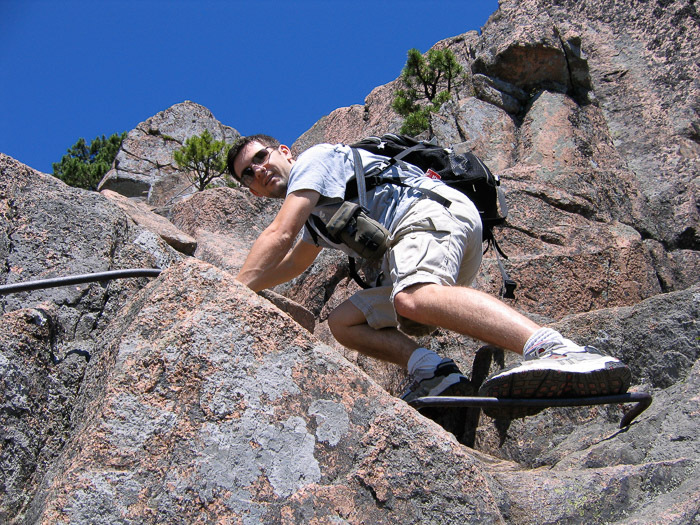 Climbing up the horrifically exposed “Beehive” in Acadia National Park, summer 2007. Easily the most terrifying hike I’ve ever done. 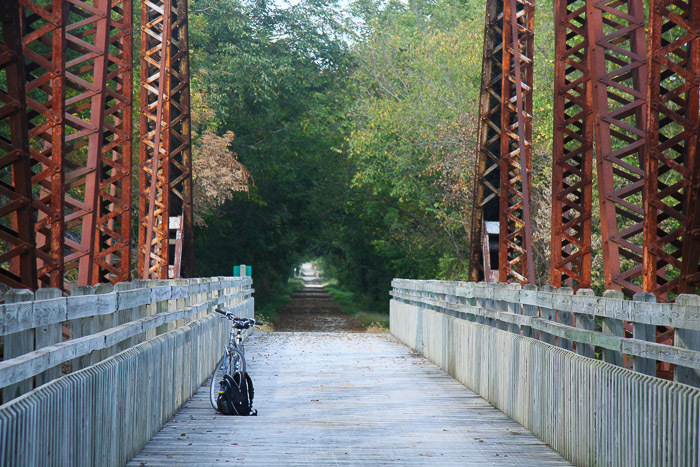 In 2008 I carried the backpack across Missouri on my bicycle as I rode the entire Katy Trail. 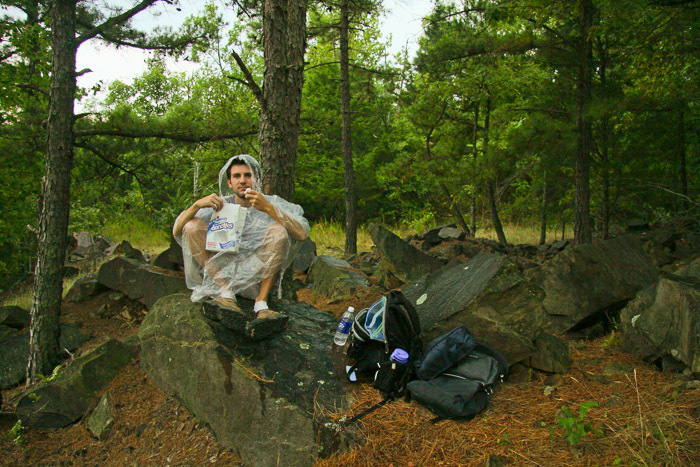 Here the backpack hangs out while I eat a bag of donuts during a thunderstorm in Arkansas. 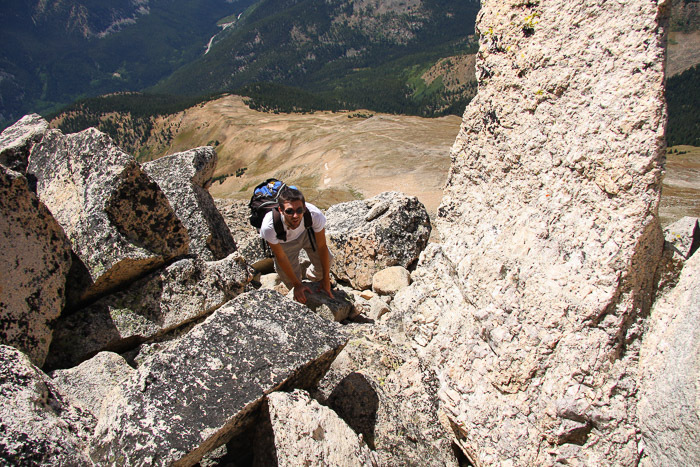 The climb up my first (and only) 14er would not have been possible without my backpack, which was probably starting to show some age by now. 2009. Emma has also enjoyed the backpack as well. 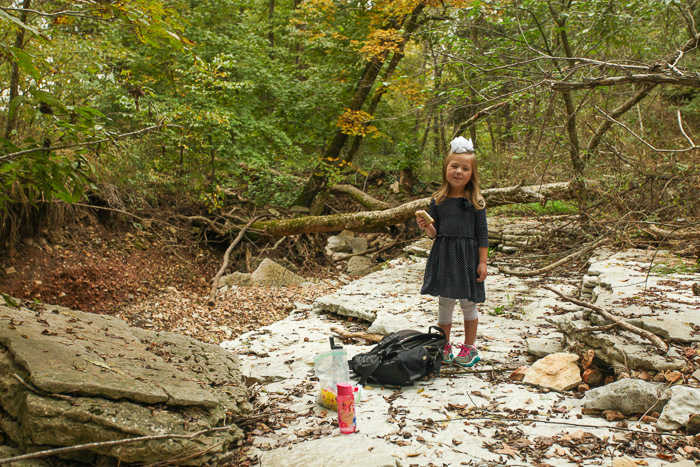 Apparently I took her hiking and let her wear a dress?? 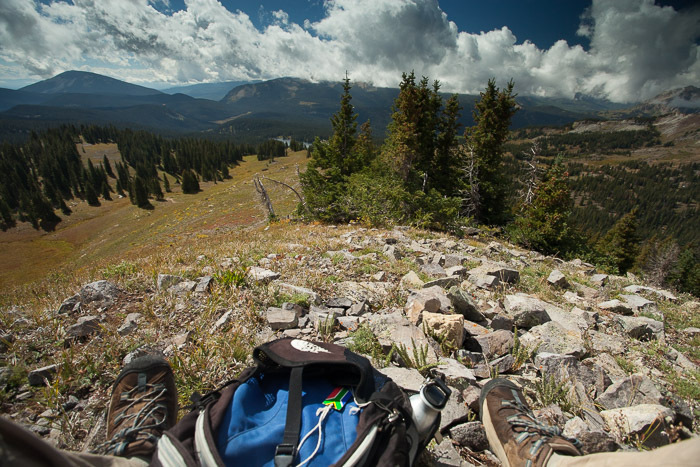 This was a nice spot where I enjoyed a snack, courtesy of the backpack in 2012. 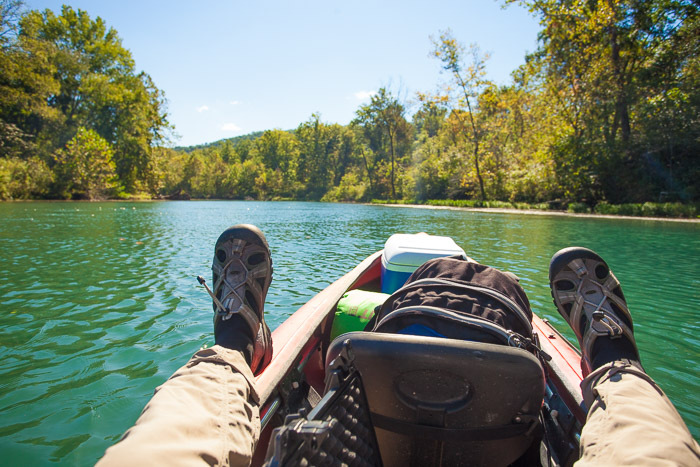 The pack has also been on many kayak trips, including this one in 2014. 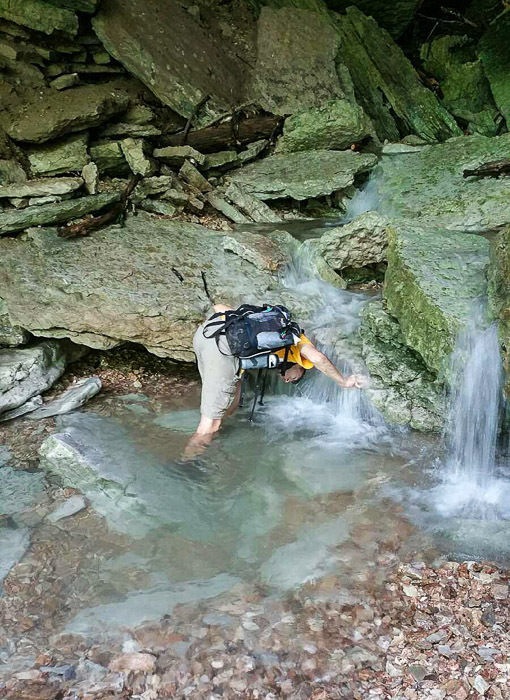 And what is better than getting refreshed under a waterfall in an ozark cave. Nothing. Except maybe getting refreshed under a waterfall in an ozark cave and then eating an ice cream cone. 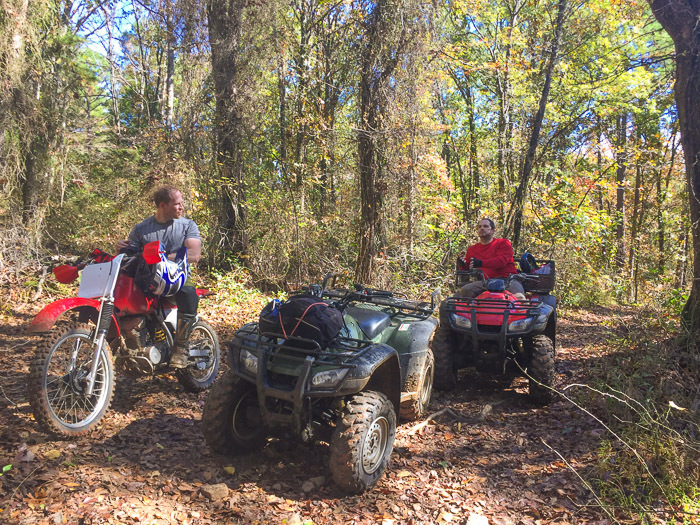 I have found the best way to get a backpack extremely dirty is to strap it to the front of an ATV and ride through mud. 2015. So this pack has been through a lot! The new pack will be nice but I doubt it will ever totally replace my one!